American Apparel posted some handy Halloween costume ideas recently — but we hear that the company left out a bunch it had already styled and shot. Well. We have all the costumes that American Apparel didn't want you to see. 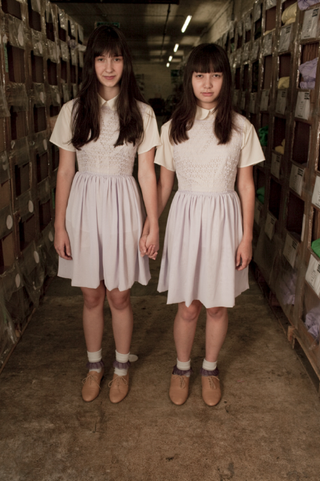 Note to American Apparel: The Grady girls from The Shining wear blue. Whether they were too creepy, too potentially inflammatory, or just too lame, these seven Halloween costumes somehow never made it into this year's American Apparel costume guide. That's right, Rejected Raggedy Andy. Pose dejectedly! Weirdly, the company decided to propose Freddie, Daphne, Velma and Shaggy from Scooby Doo as a group costume. Maybe it was killed because someone suddenly remembered American Apparel already did that, in 2007. Or maybe they just thought American Apparel Madonna needed a mop and an apron?